Kudos to the Chesapeake Bay Foundation (CBF) for moving ahead on a major water quality issue in Virginia. This week CBF filed suit against Virginia’s Department of Environment Quality (DEQ) and the State Water Control Board over failure to enforce state regulations for livestock farmers. One of the management practices Virginia has said it will implement to reduce water pollution in the Chesapeake Bay watershed is making sure all farmers keep their livestock out of streams and rivers through the use of fences and stream buffers. CBF has found that many Virginia livestock farmers are not implementing these management practices. This is thanks to the Virginia Pollution Abatement Permit, approved last year by the DEQ and the Water Control Board for a ten-year period. This permit does not require the state’s largest livestock farms (cattle, pig, poultry) to fence and buffer streams to which the livestock have access. CBF’s challenge to the DEQ and the State Water Control Board, should it be upheld in court, will improve a flawed permitting process, ensure that Virginia does its part to reduce water pollution, and ultimately improve the health of the Chesapeake Bay. Fencing off streams and rivers from livestock reduces water quality issues in the tributaries and mainstem of the Chesapeake Bay. When livestock have wading access to bodies of water, they are able to pollute streams and rivers with their waste, adding to the nitrogen and phosphorus runoff that enters the Bay. Livestock also erode stream banks, depositing sediment directly into the water, which makes its way downstream and eventually reaches the Bay. By allowing farms to give their livestock access to streams and rivers, the DEQ and State Water Control Board are not enforcing the State Water Control Law, which calls for a reduction and prevention of water pollution. Furthermore, by not enforcing regulations that curb nitrogen, phosphorous and sediment runoff from agriculture, Virginia is violating its agreement with the EPA (in the Clean Water Blueprint) to reduce nutrient and sediment pollution entering the Bay from state waters. The Richmond Circuit Court will hear arguments for this case this Thursday, July 2. Updates to come. The original press release from CBF can be found here. This entry was posted in Nitrogen, Phosphorus, Policy, Sediment, Virginia and tagged Agriculture. A growing blue catfish population in the Chesapeake Bay Watershed is depleting the Bay’s native fish population. Regional restaurants, markets and nonprofit organizations are stepping up to this challenge, and offering this invasive species to consumers as a tasty, affordable alternative. Does a higher demand for blue catfish provide a solution to this environmental issue? The blue catfish is a major predator of the blue crab population in the Chesapeake Bay and its tributaries. The VMRC has named the growing blue catfish population as one of the factors responsible for the low harvest numbers for crabs this year. Originally from the Mid-West, native to the Mississippi, Missouri, and Ohio Rivers, the blue catfish was brought to Virginia in the 1970s and 80s as a sporting fish. Stocked in the York, James, and Rappahannock Rivers, the fish has since spread north, to the Potomac River, infiltrating both Virginia and Maryland waters. The blue catfish thrives in freshwater, in the Chesapeake Bay’s major Southern tributaries, but can also live in brackish, tidal waters. Since the blue catfish is an invasive species in the Chesapeake Bay Watershed, it has no natural predators in this estuary. An unchecked population can do a great deal of damage to the underwater ecosystem, by preying heavily on shellfish, menhaden, white perch and fish eggs (such as shad), and competing for resources with native fish. Blue Catfish Range in the Chesapeake Bay. Source: chesapeakebay.noaa.gov/fish-facts/invasive-catfish. Spawning from late May into June, females of reproductive age release 4,000 to 8,000 eggs per kilogram every year. This can be quite a lot of eggs considering the large size of catfish. The largest catfish caught in Maryland was 84 pounds, while Virginia has recorded the catch of a 140-pound catfish. While a 2012 Maryland Department of Fisheries report recorded an annual catch of 400,000 pounds of blue catfish, this has not been enough to reduce the environmental damage caused by this invasive species in our watershed. As a response to this issue, many area restaurants and markets have embraced the idea of selling locally caught blue catfish to help reduce the Bay population. Whole Foods and MOM’s Organic Market began to sell this fish in 2014, while restaurants such as Clyde’s, and other popular D.C. restaurants, now offer catfish on their menu. A regional nonprofit, Wide Net Project, has also found a way to address this environmental issue, and works to build up the market for blue catfish. Wide Net Project works with regional markets, restaurants, and food service companies, marketing the blue catfish as a local, sustainable, tasty and inexpensive food item. In addition, this nonprofit works to stock local hunger relief organizations with the fish. A quarter pound of blue catfish is donated for every pound sold. In 2015, Wide Net Project is expecting to sell 75,000 pounds and donate tens of thousands of pounds of blue catfish. According to the EPA’s recent interim assessment of pollution in the Chesapeake Bay, Virginia is on track to meet its TMDL targets for both nitrogen and phosphorus, but is off track to meet its targets for sediment. Three out of four sectors- agriculture; wastewater treatment plants and onsite systems; and offsets and trading- are under the lower “ongoing oversight” designation, with the remaining sector- urban/suburban storm water- under the intermediate “enhanced oversight.” According to the EPA’s “Next Steps,” urban/suburban storm water may be upgraded to “ongoing oversight” in 2016 provided Virginia completes certain MS4 (define) permitting requirements. What do these results mean going forward? At this stage in the overall TMDL process, it is an encouraging sign that Virginia, which contributes significant nutrient levels to the Bay, is on track to meets its 2017 targets for nitrogen and phosphorus. It is also encouraging that Virginia appears close to receiving an upgrade in oversight level for the urban/storm water sector, which would place all of the state’s programs under the lower “ongoing oversight” level. Until all practices are in place (which isn’t expected until 2025), this is generally what we hope to see in all of the Bay States’ interim assessments. The interim “results” are based largely on models that project future nutrient and sediment levels, and incorporate many activities, or practices, that have not yet been implemented. Unless the states actually follow through on their commitments, many of the positive projections will be unrealized. Therefore, it is crucial that the states continue to take any and all additional measures that are necessary to restore the Chesapeake Bay. There is still a long way to go and a lot more that needs to be done. The interim assessments were released to for the six Bay States’ 2014-2015 milestones. These assessments, which form part of the EPA’s overall accountability framework under the 2010 Chesapeake Bay Total Maximum Daily Load (TMDL) for the entire Chesapeake Bay watershed, play an integral role in evaluating the progress of the Bay States towards meeting their respective pollution reduction targets, and are used to identify areas of concern that require additional measures to meet those targets. The EPA and Bay States are currently in Phase II of a three-phase, fifteen year process of the TMDL, which means that they are continuing to work towards implementing practices by 2017 that will meet sixty percent of the total pollution reductions needed to clean the waters of the Chesapeake Bay. The third and final phase is to be completed by 2025, and requires 100 percent of the pollution reductions measures to be in place. This entry was posted in Nitrogen, Phosphorus, Sediment, Virginia and tagged TMDL. According to the EPA’s recent interim assessment of pollution in the Chesapeake Bay, Maryland is presently on track to meet the 2017 TMDL reduction targets for two out of the three major pollutants in the Bay: phosphorus and sediment. Maryland is not on track to meet the target reductions for the third major pollutant, nitrogen. New information obtained by the EPA shows that Maryland is actually contributing more nitrogen to the Bay than previously thought. Therefore Maryland must plan to implement even more effective practices to ensure that it will meet its 2017 targets for nitrogen. 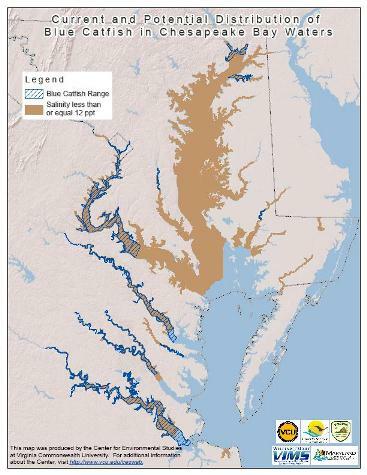 So what do these results mean for the Chesapeake Bay going forward? For one, Maryland is the only state currently under the lower “ongoing oversight” for each sector category that the EPA assesses: agriculture; urban/suburban stormwater; wastewater treatment plants and onsite testing; and offsets and trading. While this is far from encouraging overall, it does demonstrate that Maryland, the state most synonymous with the Chesapeake Bay, it making positive strides towards meeting its reduction targets. The EPA expects Maryland to implement additional measures to reduce nitrogen pollution. Also, much of the progress made in Maryland, including the recently proposed phosphorus management regulations, still must be implemented to achieve the projected pollution reductions. At this stage in the TMDL process, many of the projections are based on practices that have yet to be implemented. It is critical, that Maryland continue efforts to put practices into place. Sometimes, this is easier said than done. Similar regulations to the Phosphorus Management Tool regulations have been pulled and/or delayed in the past (the environmental community has advocated for stricter phosphorus management for over a decade now), so it is crucial for Maryland and the Department of Agriculture to follow through with implementation. The interim assessments were released for the six Bay States’ 2014-2015 milestones. These assessments, which form part of the EPA’s overall accountability framework under the 2010 Chesapeake Bay Total Maximum Daily Load (TMDL) for the entire Chesapeake Bay watershed, play an integral role in evaluating the progress of the Bay States towards meeting their respective pollution reduction targets, and are used to identify areas of concern that require additional measures to meet those targets. This entry was posted in Maryland, Nitrogen, Phosphorus, Sediment and tagged TMDL. Maryland blue crab harvests are reportedly low this spring, impacting the watermen, and some restaurants, whose owners are having difficulty obtaining affordable, local catch for consumers. (See The Baltimore Sun and The Fredericksburg Free-Lance Star). The annual Bay-wide winter dredge survey conducted earlier this year found that the Bay’s blue crab population has risen by over 1 million crabs from last year’s drastically low numbers. So why are harvests low so far this year? According to the Virginia Marine Resources Commission (VMRC), a combination of factors could be contributing to low harvest numbers at this point in the season. While the winter dredge survey found that juveniles and female crab numbers were up (which is very important for sustaining and building up the crab population in future months), the males took a “huge hit” from cold-water temperatures this winter. Other contributing factors could be pollution, low reproduction levels, and predation. Marine species such as the blue catfish, red drum, and the cownose ray are common predators of the Chesapeake blue crab. The VMRC stated that the blue catfish, an invasive species with little to no predators of its own, has grown in population this year. (Stay tuned for more information on the blue catfish). While it is too early for the VMRC to release data on harvest numbers at this point in the commercial crabbing season, commercial watermen submit harvest reports to the agency on a monthly basis. Data should be available by August. **The commercial blue crabbing season (harvesting by crab pot) began March 17 in Virginia, and will end on November 30. Other methods of catching crabs (ie. pound nets, etc.) for commercial watermen are allowed May 1 through November 30. In Maryland, the commercial crabbing season runs April 1 through December 15. This entry was posted in Blue Crabs, Maryland. The Maryland Department of the Environment (MDE) recently placed on hold a Houston-based company’s permit application to ship crude oil through its Baltimore port terminal in Fairfield, Maryland. The company, Targas Resources, which presently owns one of the Fairfield terminals, which it uses to store and ship oil, natural gas, and petroleum products, sought the permit to allow shipments of crude oil to pass through the terminal as well. In its decision to temporarily deny the permit, MDE sighted a lack of information and insisted that additional information from Targas Resources was necessary before the agency would consider further review. Maryland’s Oil Pollution and Tank Management laws require facilities operators to obtain a permit before they may transport or store more than 10,000 gallons of oil, including crude oil. The permit approval process requires, in general, that the applicant submit a contingency and clean-up plan in the event that a leak or spill occurs, and to maintain a facility that is properly equipped to prevent oil pollution and contain spills. These are important criteria to ensuring safety to surrounding neighborhoods and the Chesapeake Bay, and promising news that MDE has, at least in the interim. Had MDE approved the permit, Targas Resources would have become the second company to ship crude oil through the Fairfield terminals, which sit along the Patapsco River just outside Baltimore’s Inner Harbor. Currently, Axeon Specialty Products ships tens of millions of gallons through its nearby terminal. According to MDE’s Oil Control Program, Axeon Specialty Products shipped over 100 million gallons of crude oil over the previous two years. According to a Sierra Club blog post, the Targas terminal would result in an additional 9 million gallon annually. More troubling is the fact that the potential impact area of an accident sits right in the heart of downtown Baltimore. The shipment of crude oil carries added significance to the Bay area because of the rise in oil production in recent years, particularly from the Bakkan shale field in North Dakota. The rise in production has caused an increase in demand, which has led to increased shipping. Shipping crude oil, which is performed primarily by rail, poses risks to local populations and the environment. Just last year, a derailment in Lynchburg, Virginia, caused thousands of gallons of crude oil to spill into the James River. In 2013, a derailment in Quebec, Canada, resulted in spillage of over 1.5 million gallons of crude oil and caused an explosion that killed 47 people. Time will tell if Targas Resources makes another attempt to obtain the permit from MDE. Hopefully, with enough local opposition, MDE will continue to reject it. This entry was posted in Energy&Environment, Maryland. Last Tuesday, May 26, the Virginia Marine Resources Commission (VMRC) held a public hearing on blue crab management. The issues voted on included dates for the crab management season (July 5, 2015 – July 4, 2016), the commercial crabbing season (March 17 – November 30), and the culling of sponge crabs (female crabs carrying eggs). The Commission voted to restrict the culling of sponge crabs from March 17 to June 15 of this year. The commission also voted on bushel limits, agreeing to keep in place stricter limits for commercial crabbers that were enforced last summer in response to the extremely low crab population. To review, the VMRC voted in July of 2014 to reduce the harvesting of female and juvenile blue crabs by 10%, effective through July of 2015. These regulations were put into place after the 2013-2014 winter dredge survey found that only 297 million blue crabs were in the Chesapeake. From this number, there were less than 70 million female crabs of spawning age. These population numbers are low for the Chesapeake Bay. In 2012, there were 765 million blue crabs in the Bay. That number was cut by more than half in the two years that followed. While the Bay’s blue crab population did slightly increase over the past year, to 411 million crabs, the stricter regulations have been kept in place to get crab numbers up to a healthier level, closer to the 765 million-population number of 2012. Again, as last year, I would like to see the VMRC put harsher regulations in place for the culling of sponge crabs, making it illegal altogether for commercial crabbers to harvest female crabs carrying eggs, not just during a certain time period. In addition I would like to see Virginia restrict winter dredging of blue crabs for harvest. The VMRC agreed to put off a vote on winter dredging until later this fall. The VMRC has voted to restrict this activity over the past couple of years and hopefully will do so again. Winter dredging poses risks to the blue crab population, and is permanently restricted in the neighboring state of Maryland for this reason. To see the Commission Meeting Summary from last Tuesday, please check out the VMRC link here: http://www.mrc.virginia.gov/Commission_Summaries/cs0515.shtm. This entry was posted in Blue Crabs, Policy, Virginia.